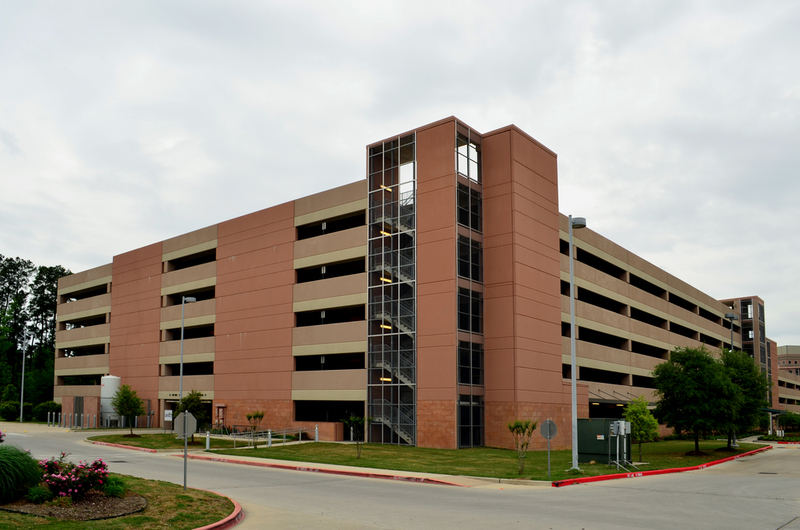 The four and six story pre-cast garage for the MAC III were completed in two stages to allow surface parking to be available while the first parking garage was completed. There is a 2" expansion joint between the two garages and all of the walls and columns along expansion joint share footings. The project was completed with architecture firm Browne McGregor Architects, Charles Browne principal and Cory Porter project architect. 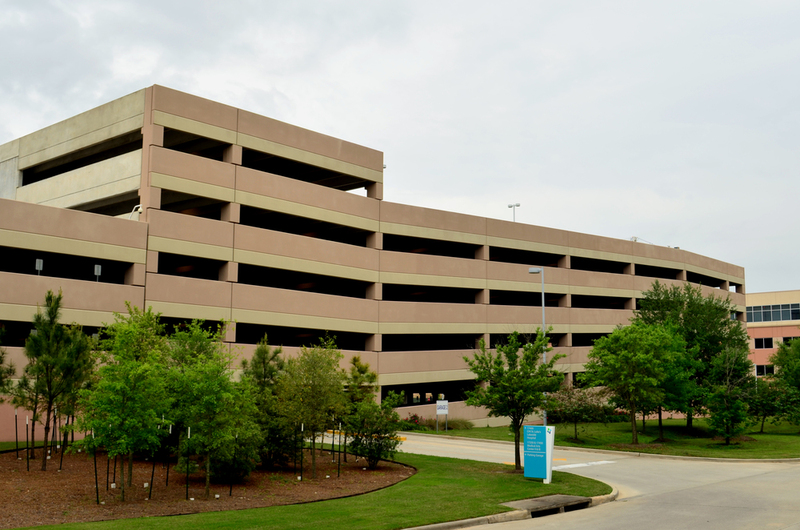 As part of the expansion of their Woodland campus, Memorial Hermann decided to build a new parking garage. The garage was designed to accommodate a future expansion to eight levels from its original five. The project was led by Jeffrey Brown and Jeanette Shaw with Powers Brown Architecture.